A.B. 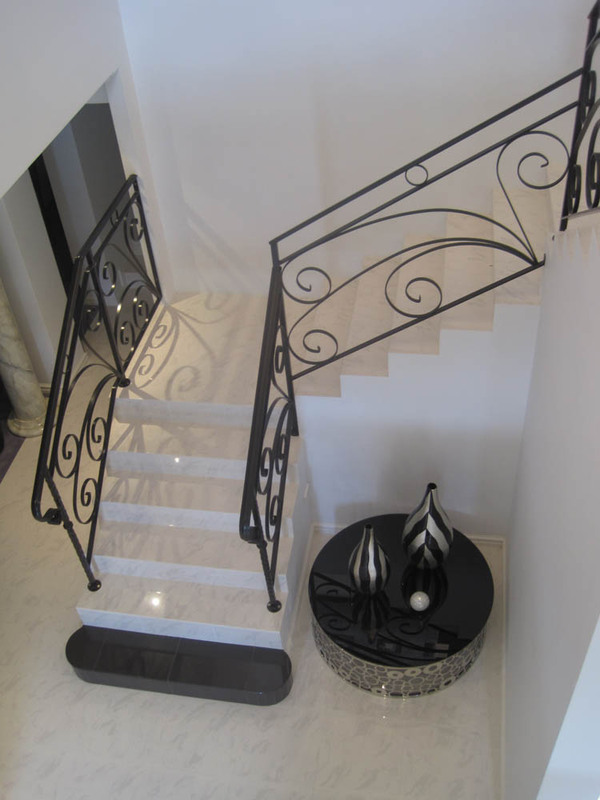 Steel Fabrication specialises in the design, manufacture and installation of wrought iron balustrades in Perth, Western Australia. Our products include staircases, spiral staircases, fencing, gates, balconies, security doors, window grilles, hand rails and architectural metal work. We come to you to discuss your design needs and requirements and provide a free measure and quote. With over 40 years of experience we can offer advice and wrought iron design options from stunning, intricate pieces to simple yet functional designs. You are in full control of the design process and we offer finishes that other’s can’t provide. Our designs have been copied by other wrought iron companies in Perth over the years. We keep up to date with the latest trends in home design and landscape styling to offer you truly innovative yet original and stunning wrought iron balustrades for indoors and outdoors. Established since 1972 in Perth, our influence is our European heritage where we have brought over our skills from Italy to create architecture that delights and meets the expectations of our customers. We can incorporate other materials including wood, aluminium and brass into our designs. We make the impossible, Possible! Call us for a free consultation or use the contact form and we will be in touch.